Holmes and Watson have never looked better. 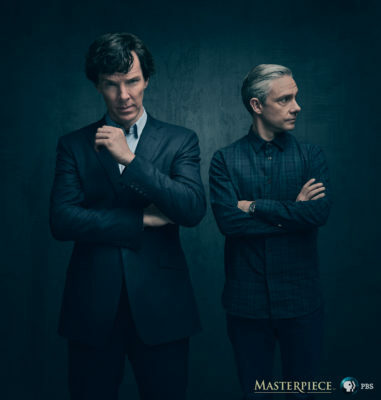 PBS has released a new photo for season four of Sherlock, TVLine reports. The UK drama stars Benedict Cumberbatch as the titular detective, who solves mysteries with his friend John Watson (Martin Freeman). Rupert Graves, Mark Gatiss, Una Stubbs, Louise Brealey, and Amanda Abbington also star. Earlier, it was announced that Toby Jones will play a new villain in the upcoming season, which is set to premiere in 2017. What do you think? Are you a fan of Sherlock? Are you looking forward to the new season? 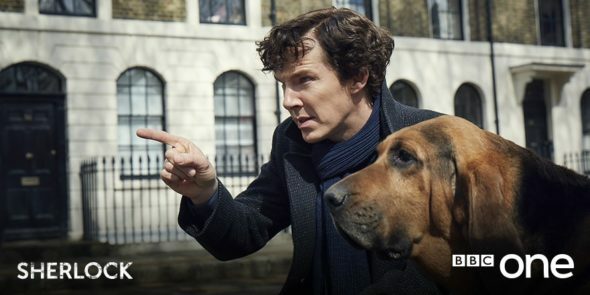 More about: BBC TV shows: canceled or renewed?, PBS TV shows: canceled or renewed?, Sherlock, Sherlock: canceled or renewed?